Would it surprise you to know that physicians get almost NO medical cannabis education in medical school? There are approximately 141 allopathic (M.D.) and 31 osteopathic (D.O.) medical schools in the US. Few of them touch on the body’s innate harm reduction system called the endocannabinoid system (ECS). The ECS produces its own cannabis-like molecules, and utilizes cannabinoids from the cannabis plant to reduce inflammation and pain, and provide relief from a variety of other medical symptoms, much less teach about it and even fewer teach about cannabis as medicine. The article “Physicians-in-training are not prepared to prescribe medical marijuana”, published September 2017 in the medical journal Drug and Alcohol Dependence reported that a “curriculum survey of U.S. medical schools conducted through the AAMC [American Association of Medical Colleges], which finds that less than 10 percent of medical schools have medical marijuana documented in their curriculum.” It’s no wonder that many physicians are ill equipped to help their patients with cannabis. In fact, most physicians have to rely on information about cannabis from their patients, their own research, and continuing education classes such as those offered by the AnswerPage.com. 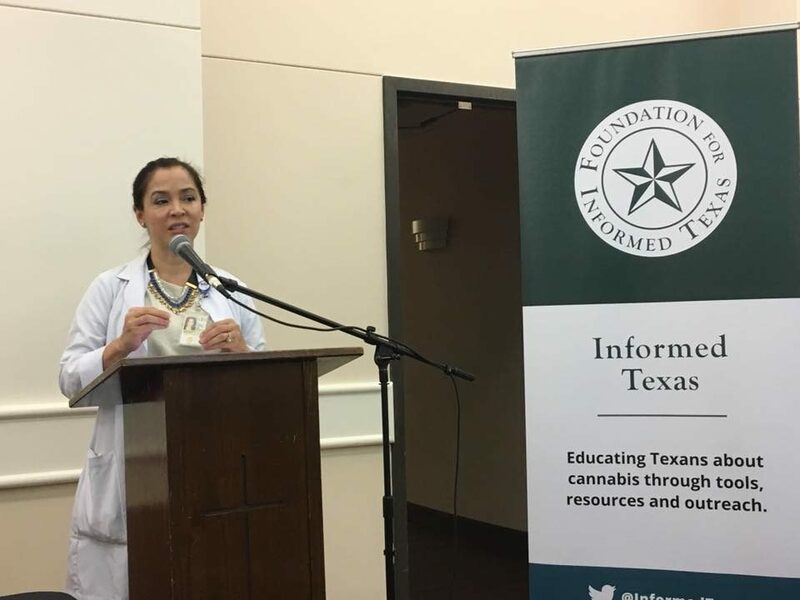 Luckily, we have a few well-informed physicians in Texas like Dr. Scott Bier who have done their own research about cannabis and remain current in advances in medicine. Dr. Bier, a practicing emergency medicine physician and supporter of medical cannabis legalization, is a proponent of better education and training in medical school about cannabis and the endocannabinoid system. The article “Dangers of Marijuana Experienced Firsthand” which appeared in the May 2017 issue of the ACEPNow, the journal of the American College of Emergency Physicians highlights the need for education of patients, care-givers, bud tenders and medical professionals alike. The outdated data published in the article inspired Dr. Bier to write the following response which was published in the October 14, 2017 issues of ACEPNow. Many key facts were omitted from Dr. Roberts article, including recent studies that show decreases in overall prescriptions as well as hospitalizations and overdoses related to opioids in states that have legal and regulated medical cannabis programs.¹² In fact, one study even showed a decrease in 21- to 40-year-old drivers who tested positive for opioids involved in fatal car crashes in medically legal states.³ Also absent was a description of the draconian restrictions that remain to this day on cannabis research, making it difficult to perform the type of double-blind, prospective, peer-reviewed studies that validate what countless patients already know about these medicinal compounds.4 I find it difficult to understand how Dr. Roberts can assert that medical cannabis should have a “black-box warning” since it is typically well-tolerated and there has never been a case of fatal overdose. Perhaps instead he should advocate for similar warnings for diphenhydramine, which not only causes cardiotoxicity and anticholinergic syndrome but also has psychoactive side effects? Dr. Roberts questions why so-called “cannabis refugees” move to Colorado for medicinal cannabis, thereby leaving “established medical care” for their illness. I think the more appropriate questions are, Why should these patients need to leave their home state in the first place? Why should crossing a state line determine whether patients are entitled to avail themselves of all potential treatments for their illnesses? I agree that we should improve medical education as it pertains to medical cannabis. Furthermore, as a physician, I am not completely comfortable with so-called “budtenders,” who may lack proper training about medical cannabis products. However, if the medical profession does not step in, what alternative source of information do patients have? As legalization spreads around the United States, public education is paramount. Many of the problems portrayed in Dr. Roberts’ article were likely the result of overconsumption or accidental ingestion, especially with edible formulations. These enterically absorbed preparations have a slower onset of action than inhalation, the more traditional method of consumption. Those who have not been properly educated about the associated delay in onset may ingest more edibles, resulting in a larger than desired dose. This is no different than naive alcohol consumers overindulging as a result of their unfamiliarity with alcohol’s effects. Furthermore, the vast majority of cannabis ingestion–related emergency patients I have cared for in my 13-plus-year career have presented after consuming cannabis laced with other chemicals such as methamphetamine or formaldehyde. These preparations are almost exclusively the products of the illegal market, which would be greatly curtailed by a legal and regulated cannabis industry. The full article can be accessed complete with references here. With over half the U.S. population having legal access to cannabis it is paramount to patient care that medical schools begin educating physicians about the endocannabinoid system and the medical benefits of cannabis. As it stands now, patients often rely on the help of an untrained budtender for information about their health. Please do not misunderstand us. Budtenders play an important role and should be trained to do so, and at the same time its incumbent on physicians to be an educated starting point! Dr. Bier is a practicing emergency medicine physician, a veteran, and the CEO of Green Well, a Texas-based company that aims to provide a full range of wellness solutions.